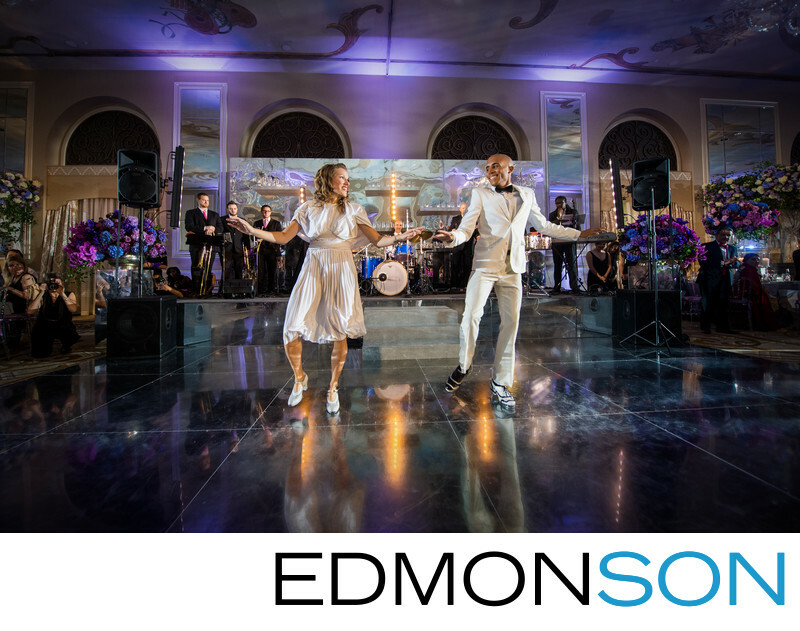 The Rhythmic Souls of Dallas do a tap dance routine that delights the wedding guests during their reception dinner at the Adolphus Hotel in Dallas. The group is lead by Katilyn Harris. 1/100; f/4.0; ISO 3200; 14.0 mm.